Sanofi Pasteur, the vaccines division of Sanofi-Aventis Group, is the largest company in the world devoted entirely to human vaccines. The company currently has approximately 1500 employees at the Sanofi Pasteur Toronto campus. The campus sits on the original 44 acre site, which includes approximately 40 buildings with staff parking at the perimeter, creating a very pedestrian friendly walkable campus. Over the years, infrastructure legacy issues have resulted in very limited space for new and current infrastructure. 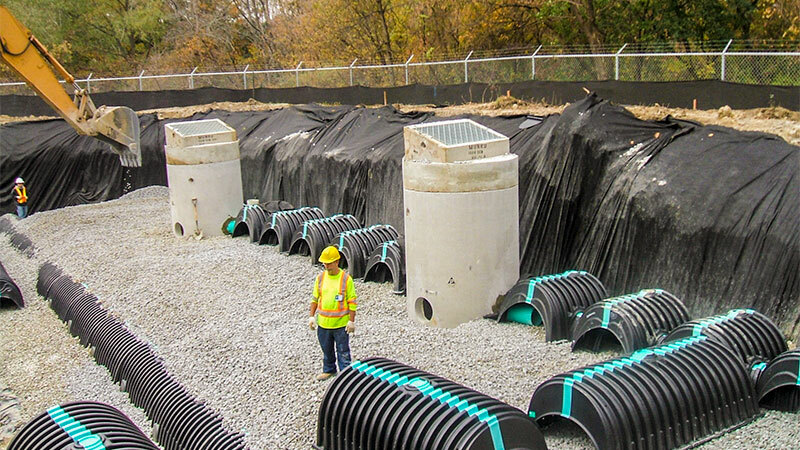 A typical internal roadway has a storm sewer, 2 sanitary sewers, a watermain, 1 to 2 concrete encased electrical banks, steam and condensate lines, gas main, fibre optics and many abandoned bits and pieces. Burnside worked with the Sanofi Pasteur Engineering and Environmental Health and Safety groups to replace the old failing infrastructure and to provide the site with a clean bill of health. Over the span of 2 years, Burnside provided environmental, land development, water and wastewater and electrical and mechanical engineering, as well as field services to the firm. Burnside discussed the possibility of a GIS based asset manager to assist them in forecasting infrastructure and budget needs (a solution initially developed for institutional and municipal purposes). 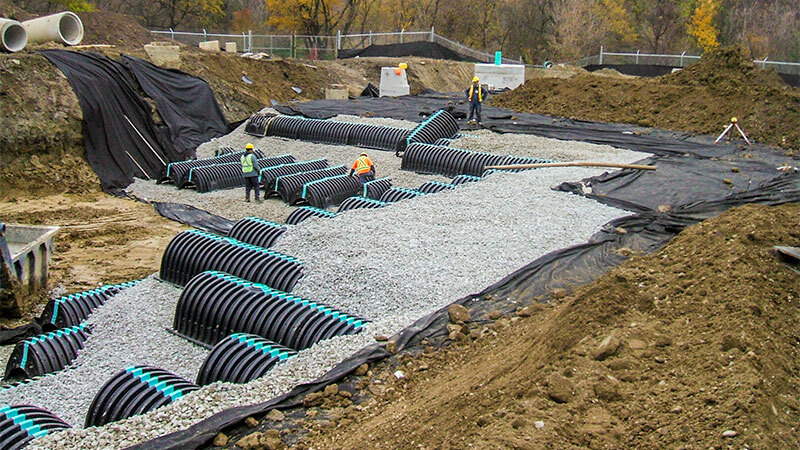 Burnside provided a Stormwater Management Master Plan, a Functional Servicing Report and an Environmental Impact Statement (EIS) to retrofit the 20 ha site to current standards. Burnside developed a remediation process for some legacy contamination issues on a small portion of the property and the replacement of 4 underground storage tanks (UST) with 2 new double-walled USTs and a large above ground diesel tank for back up fuel to their onsite emergency co-generator system.